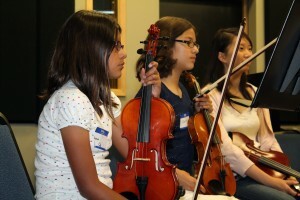 Students learn how to start a piece without verbal cues in a chamber group setting. 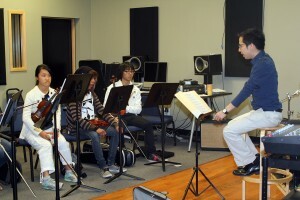 Board Member Kenton Chen gives students sightreading tips. Students analyze their sheet music before sightreading. 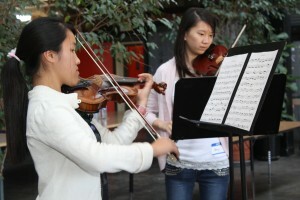 Associate Instructors practice a piece to play for the other students. 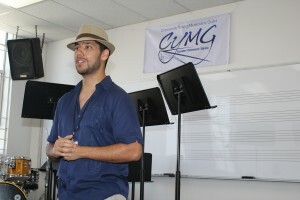 Vice President Akhani Cacao speaks to the audience about the Street Percussion classes.